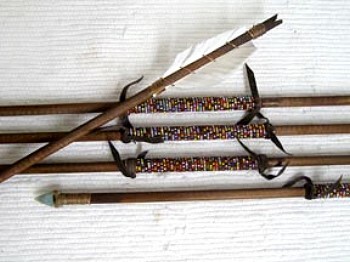 This is the BEADED ARROW which measures 32″ in lenth made by Larry Cly, brother of Leo Holiday from the great Navajo nation. 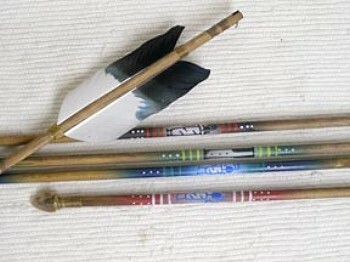 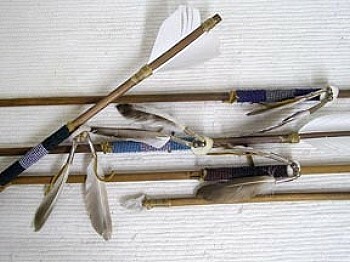 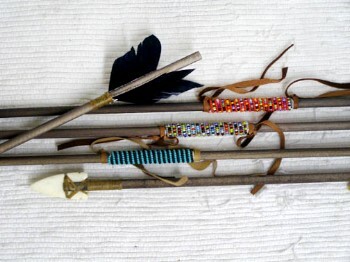 These are tipped with a metal tip arrow head & fletched with real feathers by hand. 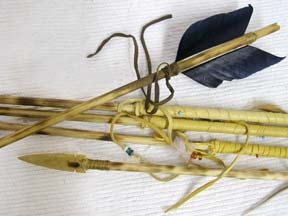 All wrappings &/or painting is done by hand.